Anna (Frozen). Forzen (2013). 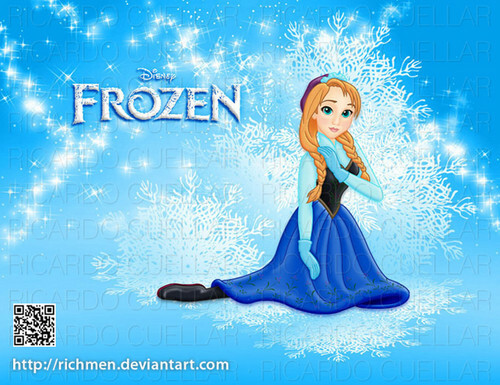 Wallpaper and background images in the Childhood Animated Movie Heroines club tagged: frozen the snow queen elsa anna disney heroine. This Childhood Animated Movie Heroines fan art might contain ishara, bango, maandishi, ubao, matini, and ubao wa chokaa.